For more information about a position or to apply please email your cover letter and resume to admin@elliseye.com. Please note the position you are inquiring about in the subject line. For any questions, please call 1.800.SEE.SHARP (1.800.733.7427) or our El Cerrito office at 510.525.2600, or fill out the form at the bottom of the page. We are looking for an optometrist for a busy ophthalmology practice. 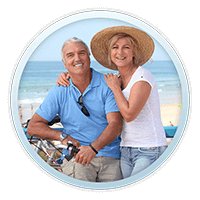 We are an established refractive surgery center in the Bay Area. This is an excellent opportunity for an optometrist who is interested in practicing full-scope optometry in the LASIK industry. We offer a competitive salary and an excellent benefit package. Schedule to be discussed. Busy Ophthalmology practice specialized in LASIK surgery seeking highly motivated person with great interpersonal skills, reliable, organized, and dependable and a team player. As a well-known established leader in the LASIK surgery field, Ellis Eye & Laser Medical Center is looking for a well-groomed, responsible, and positive individual to educate our patients about the benefits of this life changing surgical procedure. We require a minimum of five years’ experience in sales and direct selling positions preferably in the medical environment. As a Patient Counselor, you will be educating patients who are interested in LASIK, Cataract and Ptygerium scheduling their surgeries. The counselor prepares the surgery schedules, maintains files, and ensures effective communication with team members to keep a consistent flow throughout the department. Auxiliary duties may also include obtaining necessary patient history and payment information for procedures, providing a comfortable environment for patients as well as prior authorizations, pre and post op instruction. Candidates will preferably have a background in surgery/clinical consultations and have great communication skills that ensure effective education and be willing to answer patient questions. You may cross train as Events Manager with various responsibilities and must be able to work flexible schedule working between 8-5pm Monday to Saturdays. During the summer months weekend schedule will apply. We’re looking for an individual with past Ophthalmology/Optical experience and would prefer bilingual (English/Spanish). Willing to travel to six Bay Area locations. Must be detail oriented, with the ability to multi-task. The position requires a bright and resourceful individual with strong written and communication skills. 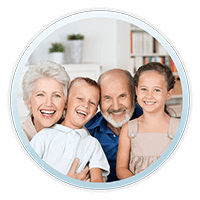 Prepares all paperwork and explain each document to the patient and discuss financing/payment options to patient. Excellent communication, presentation, and listening skills are a must. Need to have good computer skills. Coordinate the surgery schedule with satellite offices and should know how to manage busy situations and stay organized. Bring a positive attitude every day to share with staff and patients and work well in teams and have a team player attitude. Willing to adapt to an ever changing environment and be will to learn. Prefer previous background in health facility, medical or ophthalmology is a plus. Excellent communicator, professional appearance, solid work history. English and Spanish (required). Some background in medical counseling/education/public relations or marketing. Strong organization skills and ability to work both independently and as part of a team. Detail orientated, reliable, and motivated Patient Counselor representative who is able to multi-task in a fast-paced, high volume work environment. Training will be provided for counseling. Ellis Eye & Laser Medical Center is recognized as one of the Bay Area’s top LASIK practices. Besides a competitive salary we do offer our full-time staff a comprehensive benefits package and am looking for a positive attitude with a can do work ethic. We have six locations providing a wide range of services including LASIK, Cataract and Pterygium procedures. We are currently seeking a qualified, high energy patient relationship candidate to work in a fast paced ophthalmology practice t to manage patient relations for Ellis Eye & Laser Medical Center. As a LASIK Ambassador, you must be self-motivated, detail orientated, computer savvy, mature, reliable and hard-work professional who needs minimal supervision and who has a caring and friendly personality. You must enjoy a challenge, be flexible with your work schedule, be available over weekends (festivals) and contribute to a creative marketing team. You must enjoy a challenging, multi-faceted work environment and willing to travel to our six bay area offices. You should enjoy working with prospective patients and have worked in an office managing staff. Patient care and management is our highest priority and the candidate must maintain a friendly attitude, possess exceptional communications skills and present a mature confident professional demeanor. Maintain practice’s high standard of care by ensuring a well groomed and Professional presentation of yourself. Set expectations of what patients can expect at time of Lasik evaluation. 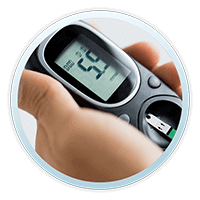 Input prospective patient information and follow up timeously by phone and written form. Ensure a tidy and clean booth environment and experience for patients. Confirm appointments, reschedule all patient’s appointments. Transport event elements including but not limited to banners, booth signs and collateral. Completion of festival reporting and input of leads into database. Basic knowledge of and passion for “vision correction” and Lasik initiatives (especially passionate about practice goals and patient satisfaction). Comfortable spending prolonged periods on your feet and have reliable transport. 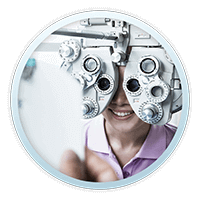 We are seeking experienced Ophthalmic Technicians for a busy ophthalmology practice with six California locations located in San Francisco, Walnut Creek, San Jose, Corte Madera, El Cerrito, San Jose and Roseville. We are an established refractive surgery center and a leader in our field and we have six OD’s, six locations and are looking to expand our tech staff. 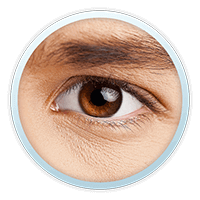 Our surgeon specializes in LASIK, Cataract and Pterygium procedures. We are seeking a technician/supervisor who is dynamic and focused on providing the best in patient care and who thrives on supervising staff and a leader in his field. He/she will be involved in promoting our refractive services. 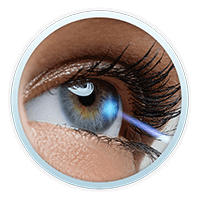 The ideal candidates will also have experience providing cataract surgical assistance and possess a strong desire to help other staff and be able to refract and perform ophthalmic tests and assist in the laser room. Initiate documentation of patients vision correction, and all pertinent ocular findings accurately and in compliance with guidelines. Perform testing to include visual acuity measurement, color vision testing, lensometry, keratometry, testing pupil function, tonometry, orbscan and other patient services as requested by the ophthalmologist. Administer topical ophthalmic and oral medications at the direction of the physician. Assist with minor surgery procedures and laser treatments in the office. Inventory and maintain surgical instruments in accordance with OSHA standards. Remove and apply dressings as directed. Educate patients regarding administration of medications, and pre-post-operative instructions as directed by the physician. Complete requests for prescriptions refills as authorized by physicians with full documentation in patient chart. Inventory and maintain medications and medical supplies. Open and close exam lanes daily, ensuring that equipment is cleaned and disinfected in an appropriate manner, battery-powered instruments are seated properly in recharge wells, slit lamps and projectors are switched off and are under covers. Assist with maintenance of clinical examination equipment. Outstanding interpersonal skills as well as a neat and professional appearance. At least 5 years of specialized ophthalmic experience. Candidate should have a strong patient interviewing and counseling skills, topography, and other eye diagnostic equipment, patient care and urgent care for LASIK, Cataract and Pterygium. JCAPO Certification a plus but not necessary. Willingness to travel and flexible schedule. This is an excellent opportunity to join an exciting and professional medical team and to provide encouraging and life-changing services to our patients. *Degree of supervision (i.e., direct, indirect), independence, and discretion: Position requires a great deal of initiative and the flexibility to handle multiple tasks simultaneously. Employee must maintain patient confidentiality.